Japan seems to be a hive of activity lately regarding anything related to Xenoblade Chronicles. 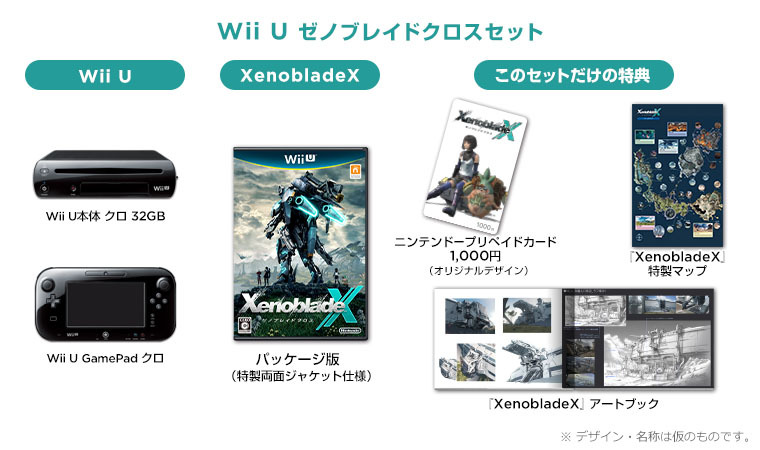 Next thing we hear about is that Japan is set to receive an awesome Wii U bundle centred around Xenoblade Chronicles X. Nintendo have announced that the bundle will consist of a Wii U, a copy of the game, a map of the game, an art book and a ¥1000 pre-paid Nintendo card featuring an original design. The game will release in Japan on April 29th, 2015.